These blueberry muffins are SO GOOD that it was a struggle to leave any to photograph! (Originally I was gonna have three in the picture, but I couldn’t resist eating just one more…) It’s the @kingarthurflour department store blueberry muffin recipe, if you’re curious, although it’s not 100% accurate since I had to make a few substitutions. 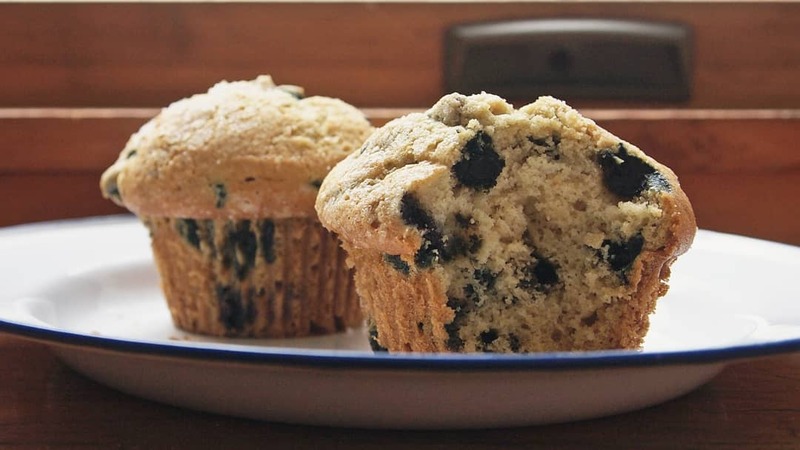 [Image description: a photo of two blueberry muffins on a blue-and-white plate. One is whole, and one has been bitten into.] .